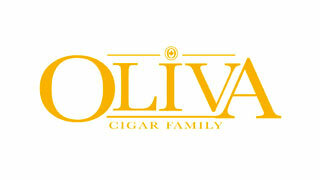 Oliva Cigars are one of the most coveted brands of cigars across the world and manufacture a wide variety of handmade, luxury stogies to suit every smoker’s need. Few cigar manufacturers can boast a worldwide following like they do. The company began in 1886, when a man by the name of Melanio Oliva began growing tobacco in the fields of Pinar del Rio, Cuba. As the business made its way through two generations of Oliva men, the tobacco landscape took a turn for the worse, following the aftermath of the 1959 Cuban Revolution. It was up to Melanio’s grandson, Gilberto, to find a place where the company could regain its footing once more. He found that hallowed ground in Nicaragua, where he concluded that, “Northern Nicaragua enjoys all the natural blessings for great Habano.” Since that time, the family-run business has gained the title of the second largest grower of Cuban-seed tobacco in Nicaragua. The Company is proud to have 25 cigars that have earned the title of “Best Cigar of the Year” from Cigar Aficionado. Each brand in the family of cigars is unique and feature a distinct blend of perfectly aged tobacco fillers and wrappers. With their continuously high ratings, unwavering commitment to the highest quality products and popular blends, this is a cigar brand every enthusiast needs in their humidor. The Serie O comes in at a close second, and features a divine blend of Nicaraguan Habano fillers, with sun-grown Habano and Connecticut broadleaf wrappers. A special Connecticut Reserve line is also featured in the company’s lineup, with a Nicaraguan filler and Ecuadorian Connecticut wrapper. These cigars have earned several 90+ ratings. The Connecticut Reserve is a mellow yet complex smoke featuring a premium blend of Nicaraguan long fillers and binder with a silky-smooth Ecuadorian Connecticut leaf wrapper. These creamy, mild bodied cigars are a perfect every day cigar, albeit a little indulgent. DISCOVER EXTRAORDINARY CIGARS FROM THE SECOND LARGEST GROWER OF CUBAN SEED TOBACCO!